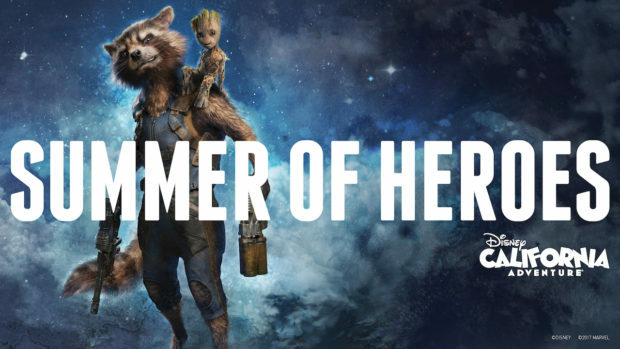 We’ve known for a couple of months that Disney Parks and Resorts were planning a “Summer of Heroes” at California Adventure. 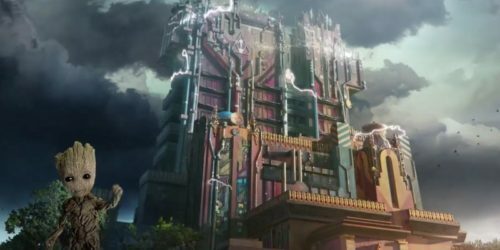 It’s largely to launch “Mission: BREAKOUT,” the Guardians of the Galaxy rock and roll ride much like the Tower of Terror that’s not the Tower of Terror that replaced the Tower of Terror. But it’s also to give a push to remind people that Marvel characters are at the Disneyland Resort, which got a little lost after the Superhero HQ closed at Disneyland. They’re still there; they’re just on the other side of the central plaza on California Adventure’s Hollywood Backlot. And this summer, even if Disney only has one superhero movie in theaters, Marvel actually has two: Guardians of the Galaxy Vol. 2 will be followed by Sony’s Spider-Man: Homecoming, so, you know, you have to celebrate the webspinner, and kids love him. You know who else they love? Groot. 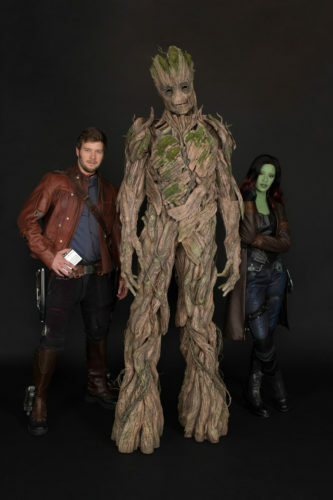 Everybody loves Groot, and starting May 27th, you can meet him, too, along with Black Widow, joining Captain America, Thor, and Spider-Man for meet and greets (and photo opportunities) on the Hollywood Backlot. After you’ve helped Rocket break the Guardians out of the Collector’s Fortress (or maybe before — time warps around the Elders of the Universe), Star-Lord and Gamora return because they left something pretty important. If you guessed Star-Lord’s Zune, you’re wrong. It’s actually his boombox, which makes sense as his preferred method of musical enjoyment, and makes me wonder when Disney and Marvel will actually market a branded Guardians of the Galaxy portable stereo. This will, of course, lead to a Dance Off, and at the end, Groot will join in and stick around for autographs. I’ll admit it, though — the ads sort of imply that Rocket will be on hand, too, but they may just consider his presence on the attraction (possibly with actual voice by Bradley Cooper?) to count.